There is no proven method for testing motorists for impairment stemming from the consumption of marijuana, yet a new law, signed last month by Governor Rick Snyder, will allow the Michigan State Police (MSP) to launch a roadside testing pilot program that officials say will be used in an effort to establish a reasonable standard for stoned driving. Although the one-year pilot program, fortunately, will not encompass the entire state of Michigan, the language of the law gives state police the authority to select five counties in which to administer saliva tests to people that are suspected of driving under the influence of cocaine, marijuana and heroin. The new pilot program is the nervous result of a fatal accident that happened back in 2013 in City of Escanaba involving a tractor-trailer that ran a red light and smashed into a vehicle occupied by Barbara and Thomas Swift. 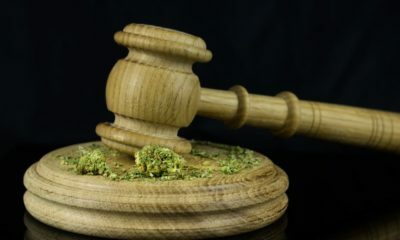 The driver of the big rig, Harley Davidson Durocher, tested positive for THC at a hospital immediately following the accident, which ultimately led to him being convicted of operating a motor vehicle while intoxicated causing death – a crime that earned him a minimum sentence of five years and five months in a state penitentiary. While Durocher was being carted off to prison for his role in an accident that cannot scientifically be confirmed to have happened as a result of his marijuana use, the couple’s son, Brian Swift, began lobbying Republican Senator Tom Casperson to develop a piece of legislation aimed at cracking down on drugged driving. The bill attracted a wealth of support from other lawmakers, like Senator Rick Jones, a former law enforcement officer, who stepped up this year prepared to fight to keep drug users off the streets of Michigan. Once the pilot program is in place, law enforcement officers trained as a Drug Recognition Experts (DRE) will be called to traffic stops where the motorist is suspected of being high behind the wheel. The DRE will then give the driver a saliva test in an effort to confirm those suspicions. If the test indicates a positive result for a controlled substance, including marijuana, which is legal in Michigan for medical purposes, the driver will then be taken to jail and charged with operating under the influence. “The officer could arrest the person based in whole or in part upon the results of a preliminary oral fluid analysis. Results of the analysis would be admissible in a criminal prosecution or administrative hearing, according to a Senate Fiscal Agency report on the pilot program. Michigan Attorney Neil Rockind recently told MLive that, “the criminal justice system wants to take science and turn it into a fast, easy utility,” but “science is neither fast nor easy,” adding that the pilot program will make “guinea pigs” out of the average citizen. Of course, the thought of the Michigan State Police going on a roadside drug testing rampage in order to try out the new pilot program is enough to put the state’s medical marijuana users on edge. This is because THC is metabolized in the body in such a way that can cause a driver to be found legally impaired days or even weeks after his or her last use. However, police say they will still need to establish probable cause before administering the test. A recent report from Probulica found that tens of thousands of innocent people end up in jail every year as a result of these types of roadside drug tests, which are infamous for producing false positives.